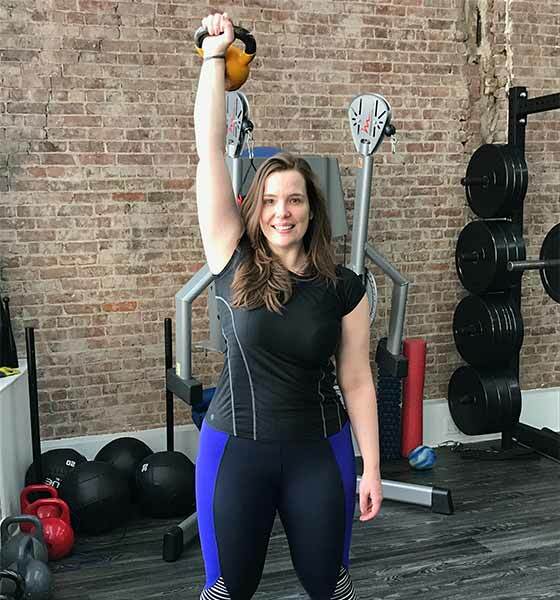 Liz has been studying Kettlebell Kickboxing under Dasha Libin Anderson since 2012, and has seen incredible progress in strength, mobility and endurance under Dasha’s instruction. She has never been more challenged nor has she enjoyed a fitness class as much as Kettlebell Kickboxing, and so in 2017 she became certified to teach KBKB. Liz also enjoys lifting weights, running, yoga, High Intensity Interval Training, and basketball. Liz routinely attends class at the AMA studio and substitutes for the flagship instructors whenever needed. Liz is excited to welcome all new students to the KBKB world because it changed her life, and she is sure it will change yours too!